September 1, 2015 was a tense day in Parsa and Bara districts of Nepal. Five civilians were gunned down by security forces of Nepal; four in Parsa and one in Bara. One of the unfortunate deceased was martyr Sohan Sah Kalwar of Nagwa, Parsa and another was martyr Hifajat Miya of Kaliaya, Bara. The bullet fired by security forces blew out a part of Kalwar’s skull. The photograph depicting his death is graphic and we refrain from showing it here; while Hifajat Miya was shot down by police and rumors are that DSP of Bara district urinated over Miya’s body while he begged for water lying down on streets in the last moments of his life. Similarly, another Martyr Birendra Ram (21) was also killed during Police firing in Bhardaha of Saptari district. Almost four months later, Kalwar’s, Miya’s and Ram’s families received some financial support, donated by several individuals and inspired by a grassroots campaign initiated by a group of dynamic and young individuals Ishan, Lochan Acharya and Surendra Bajagain. Ishan along with Acharya and Bajagain has led a campaign to provide a fixed sum of money every three months to Kalwar’s, Miya’s, and Ram’s families until their children reach the age of 16. Martyr Sohan is survived by widow Binita Sah who is only 23 years old. She has two sons: Rajan Kumar is three years old and Ravi Kumar is a year and a half. 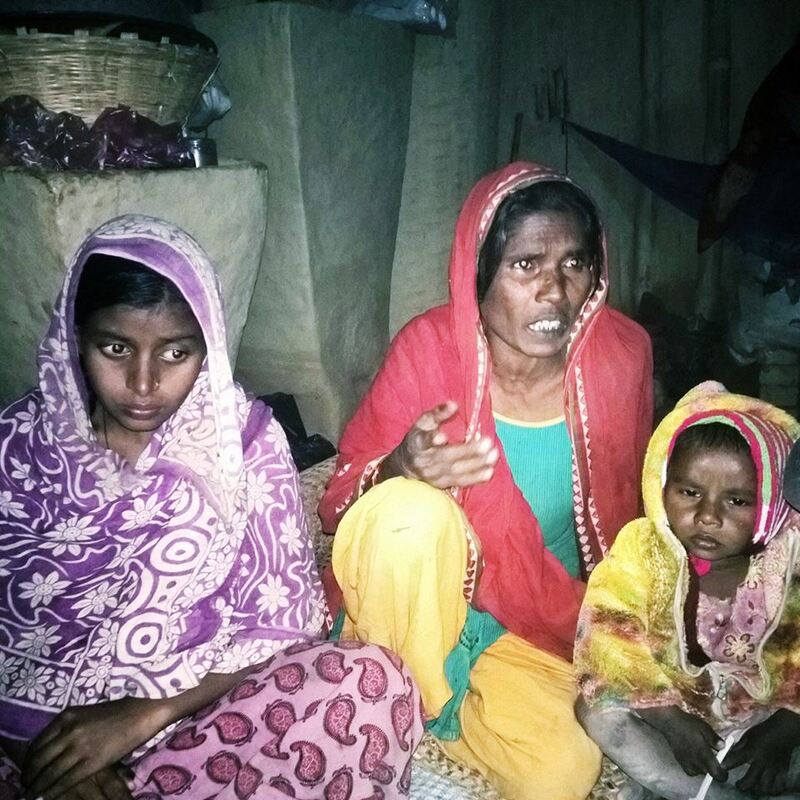 About three lakhs of Nepali rupees is needed to support Kalwar’s family. A total of Rs. 93,150 has been raised thus far for Kalwar’s family. 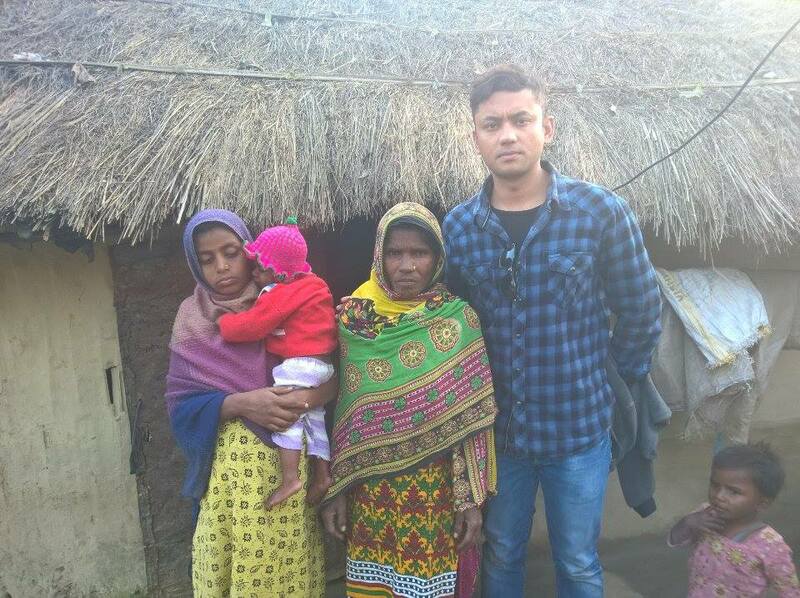 Similarly, Martyr Miya is also survived by a 9 months pregnant widow Sobina Khatun who is only 18 years old and has a year old daughter Hasbuna Khatun. 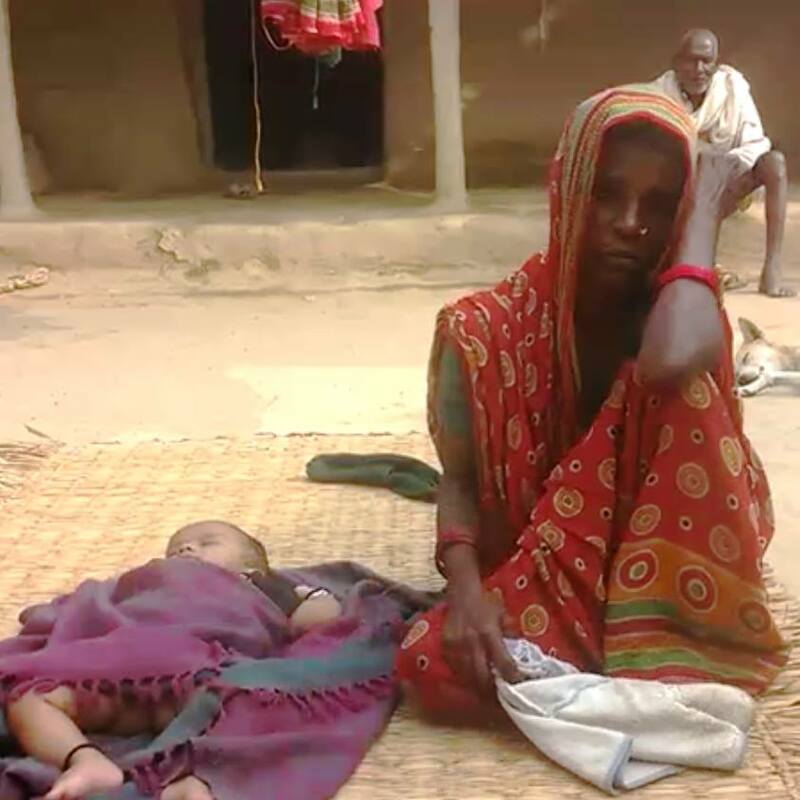 Same as the the Kalwar’s family, about three lakhs more is needed to support Miya’s family. While, a total of Rs. 93,150 was also raised for Miya’s family. Birendra Ram’s wife Babita Kumari Ram (19) was also supported by the same amount of fund by Ishan and his friends campaign. 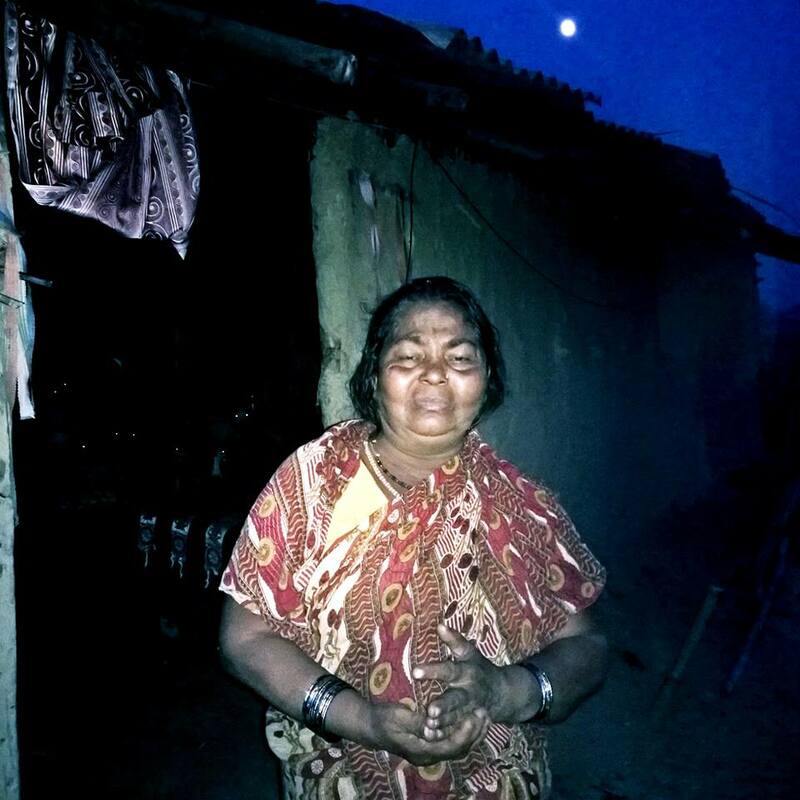 While the remaining amount was deposited in a bank account and five thousand rupees will be send to her every three months by a local businessman Atum Rahaman of Bhardaha. During an event on Monday in Birgunj and Kalaiya, Actor Karma Shakya handed over five thousand rupees to martyr Sohan’s wife Binita Devi Kalwar and Miya’s wife Sabina Khatun. 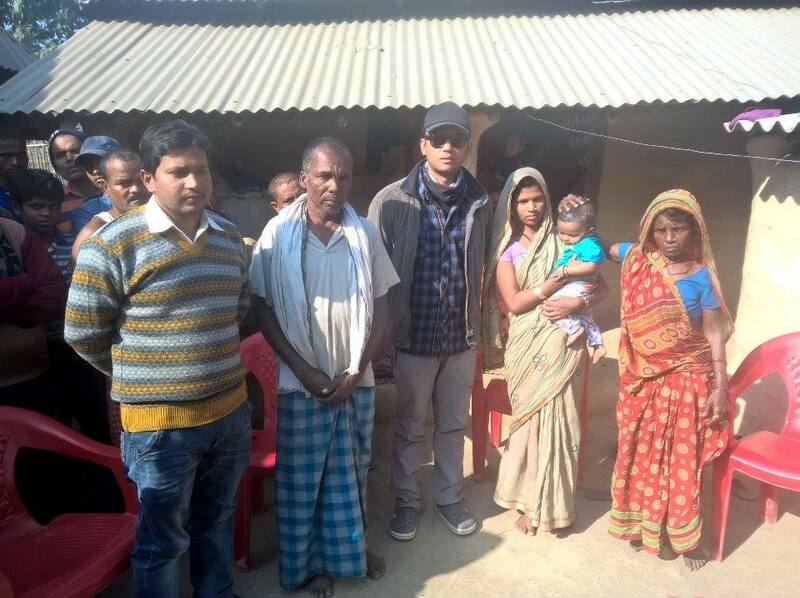 The remaining amount was deposited in a bank account and five thousand rupees will be sent to the families of Miya and Kalwar every three months by a local journalist of The State Daily and partner of this campaign, Aashu Sarraf. The amount for the families has been donated by the people belonging from Madheshi and Pahadi Communities around the world. Some of the donors in the campaign are Ram Chaulagi and Friends, Dipesh Khatri, Soni Shrestha, Shital Sharma, Manish Limbu, Praveen Gupta, Lahamo Sherpa, Women’s Development Advocacy Center, Ankit Khanal, Adhikari Ji, Shruti Singh Shrestha, Nagrik Aawaz, Prashant Khanal, Binod Sahahi, Dibyesh Giri and Smart Tech Family, Rani Jha, Chiring Tamang, and Mukesh Jha. “We people in Kathmandu and other parts of Nepal cannot assume the lives of Madhesi people sitting back in our homes, to understand the real pain of Madhesi people and the reason behind the protest we must visit their homes and families.” said Shakya. Shakya added that the demands put forth by Terai-Madhes based parties is legitimate and must be addressed. *Ishan, Lochan and Surendra walked on foot from Mechi to Mahakali to understand and listen to the people along their way. The inspiration for this arduous journey came as an inner calling towards the end of his 10 day voluntary fast during Dashain. Even though the nation was gripped by chaos due to Madhes Andolan, these three young boys packed their small backpacks and took off, wearing ethnic clothes, a Nepali topi and a dhoti over their shoulders. They met many generous souls along his journey, some of whom offered a place to stay or food or both. 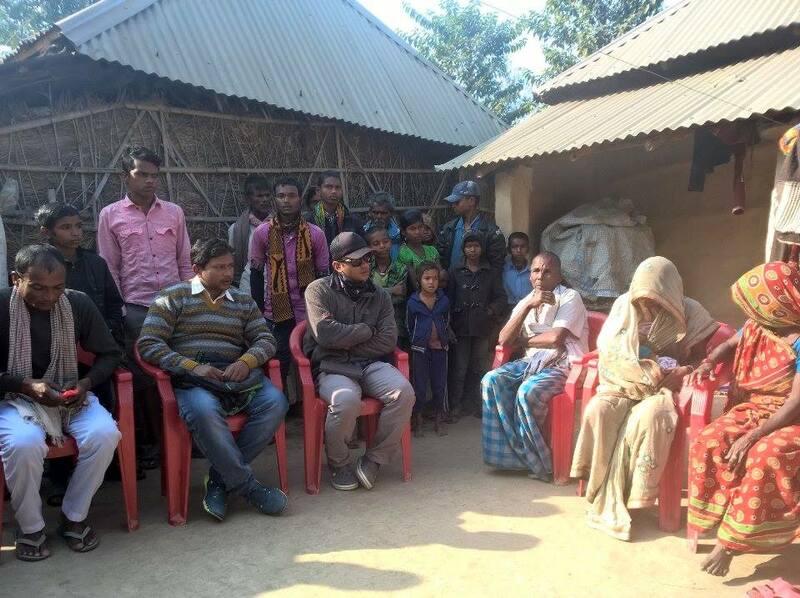 They also met several families who had lost family member(s) during Madhes Andolan. Among those families, he selected three most needy families to help who are Sohan Kalwar’s, Hifajat Miya’s and Birendra Ram’s families. If you would like to support these famlies through financial contributions, please get in touch with us or Ishan.